The versatile Sensa Trentino CXD Ultegra gravel / cyclocross bike is an aluminium all-rounder that features hydraulic disc brakes, a Shimano Ultegra groupset and a sturdy pair of DT Swiss wheels. Whatever your preferred riding style, the Trentino CXD comes ready to cope with racing at your local cyclocross league or simply exploring further afield taking your riding from the road to unsurfaced lanes, bridleways and more. With a Superlite Y-9 alloy triple butted frame featuring a specific geometry that has been optimised for the demands of off road riding you’ll find yourself riding off-road with renewed confidence, making tighter turns and negotiating steep banks like never before. Equipped with Shimano RS685 hydraulic disc brakes the Trentino CXD provides excellent stopping power in all conditions as well as offering enhanced tyre clearance between frame and tyres helping to decrease mud build up in the filthiest riding conditions. With Shimano Ultegra R8000 front and rear derailleurs the Sensa Trentino CXD benefits from dependable, precise gear shifting even in difficult conditions while a pair of proven DT Swiss R24 Spline Disc wheels. The bike was delivered in about 10 days to France. It arrived with a slightly damaged saddle but the customer service kindly offered a refund or voucher to replace it. I had another surprise when unboxing it : the brakes are in an english setup, with the right hand controlling the front brake. I am so far very satisfied with the bike itself. I use it for long commuting, and it is great for this task as it offers a comfortable position, and rides very smoothly even on damaged roads. Shifters are very reactive and brakes progressive and powerful. Very good value for woney. 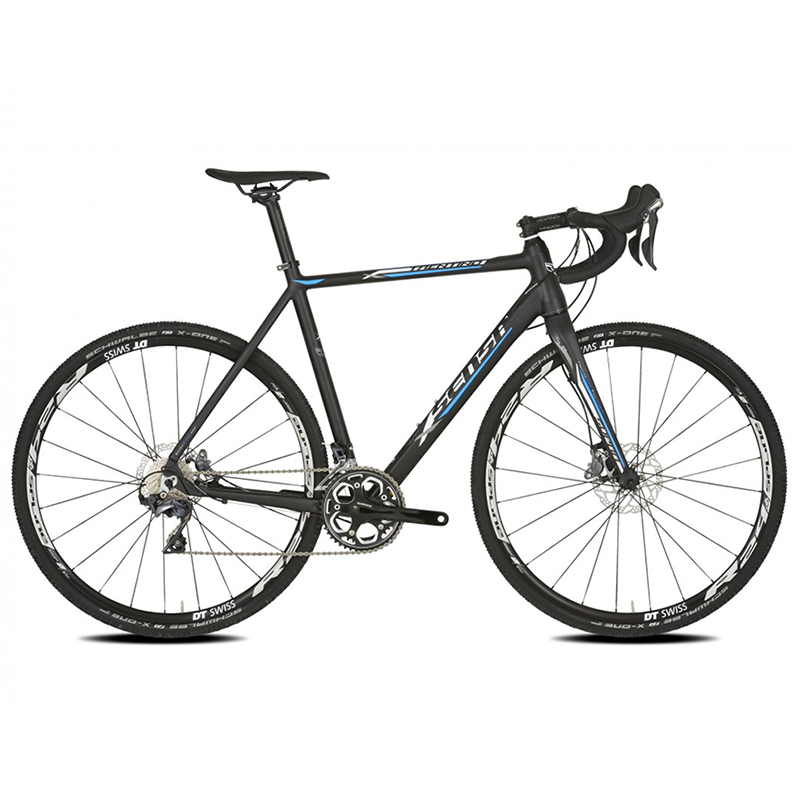 A very nice alloy frame, a very decent set of wheels and the Ultegra 8000 parts works perfecly. The bike was perfectly set up by the Merlin team. Overall I'm very pleased with this bike.